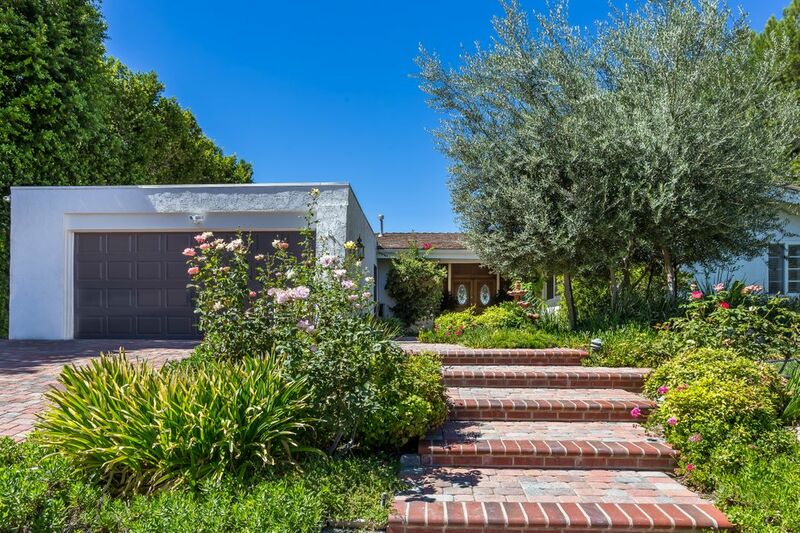 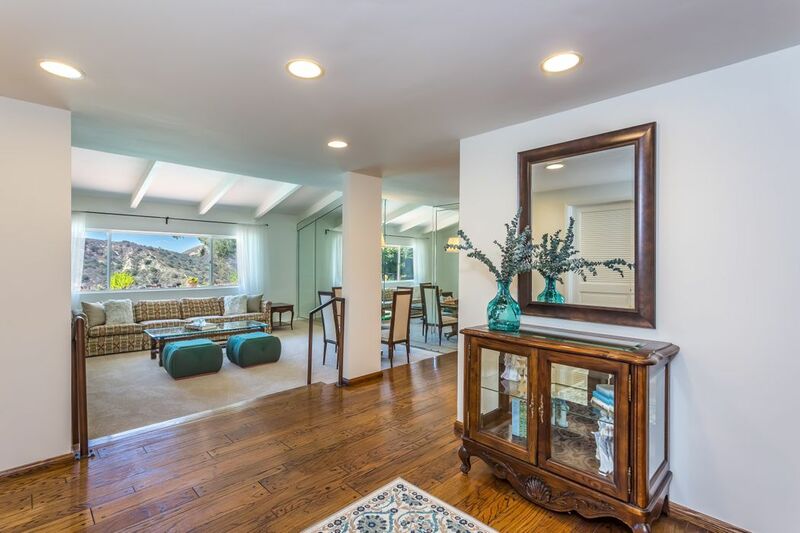 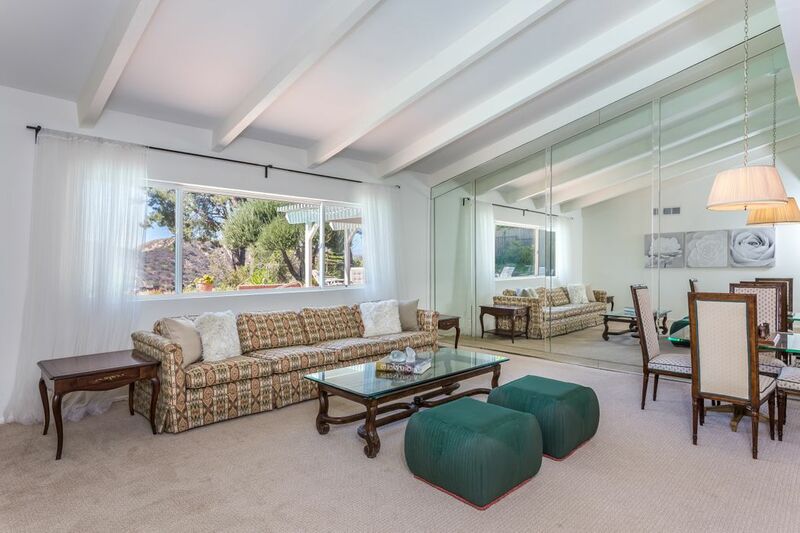 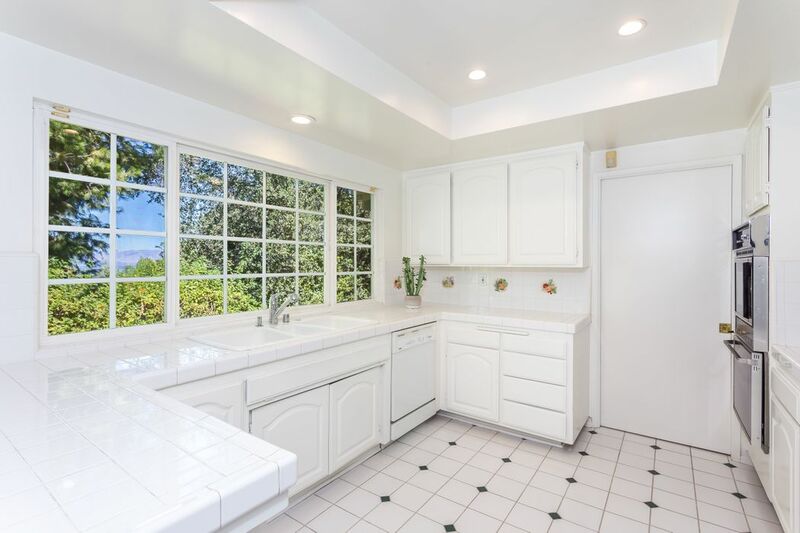 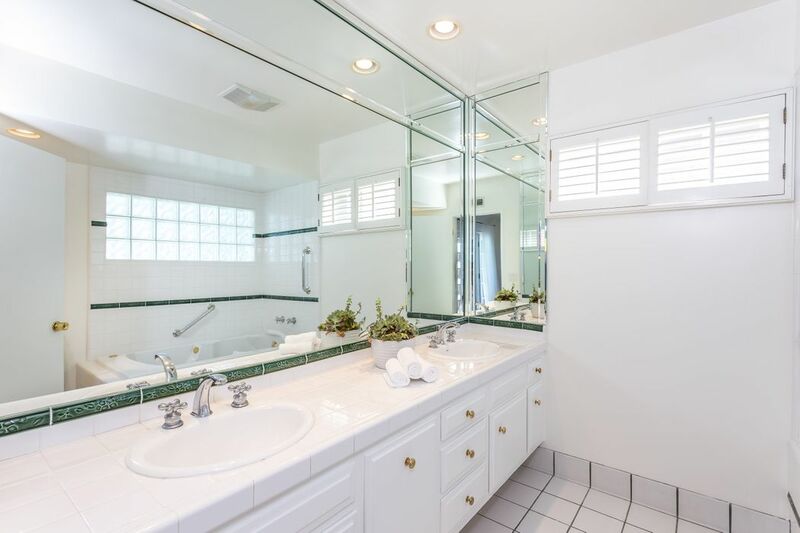 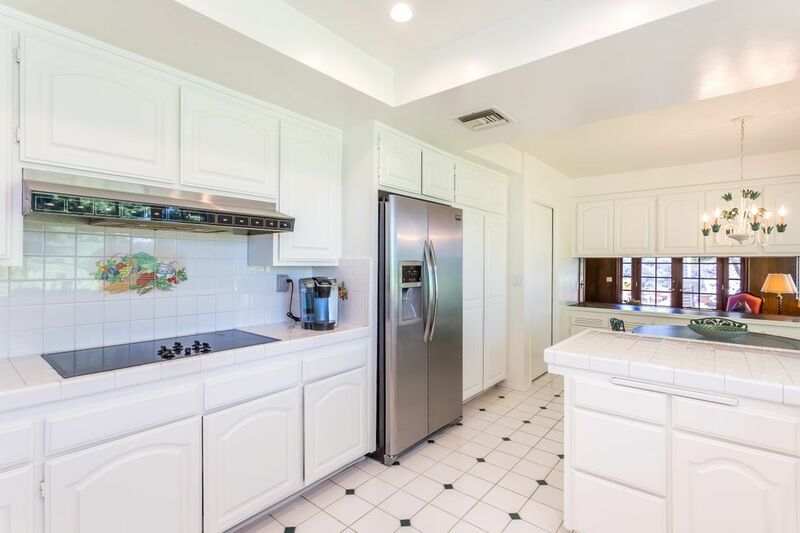 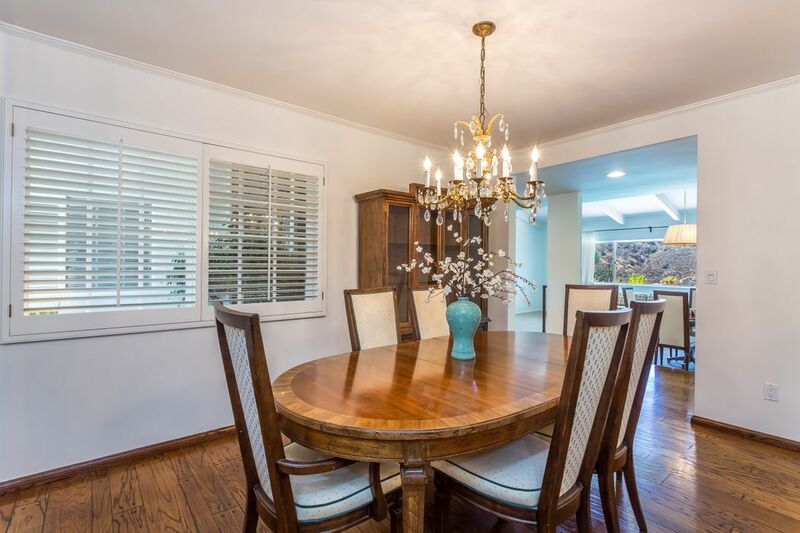 19815 Greenbriar Drive, Tarzana, CA 91356 | Sotheby's International Realty, Inc.
$1,249,000 4 Bedrooms3 Full Baths2,538 sq. 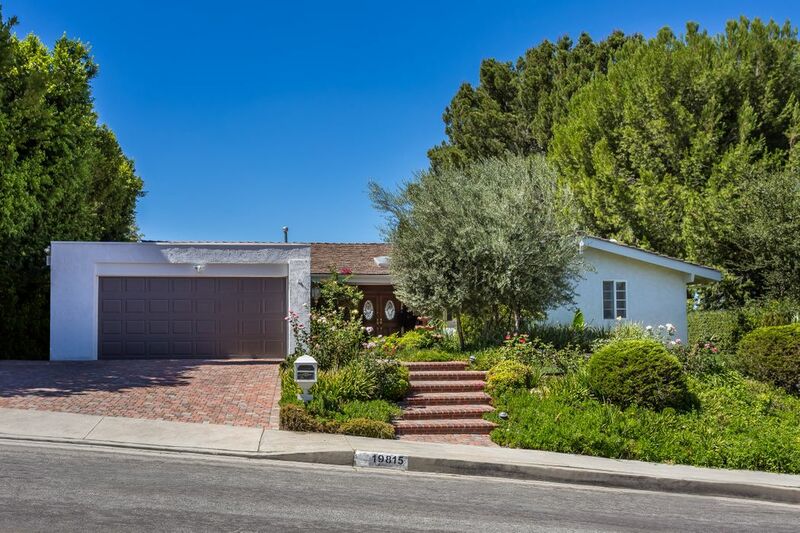 ft.
Great location, South of the Blvd on a highly desirable street. 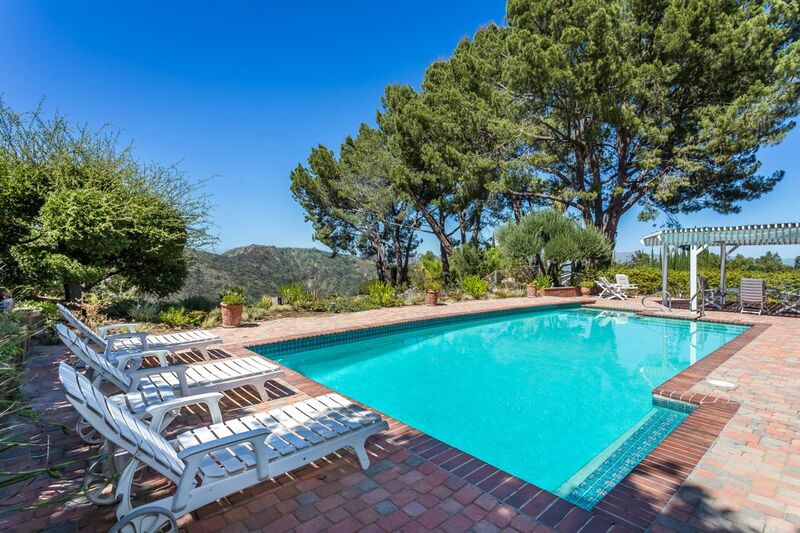 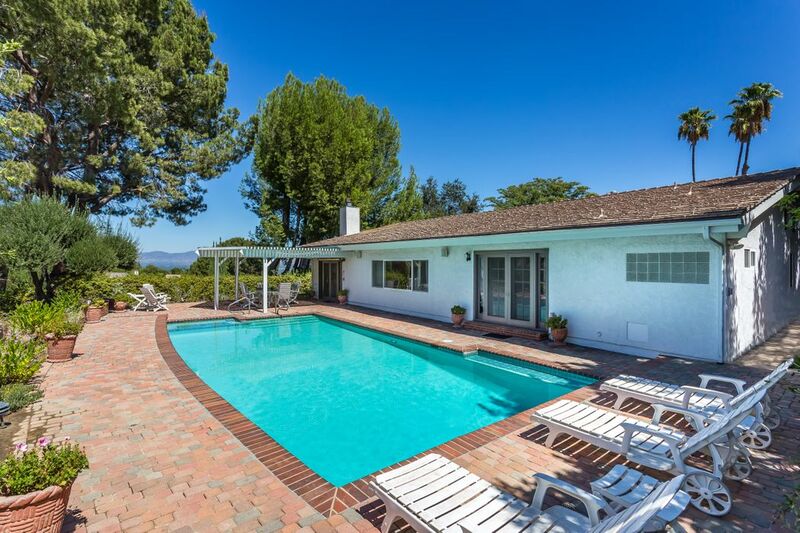 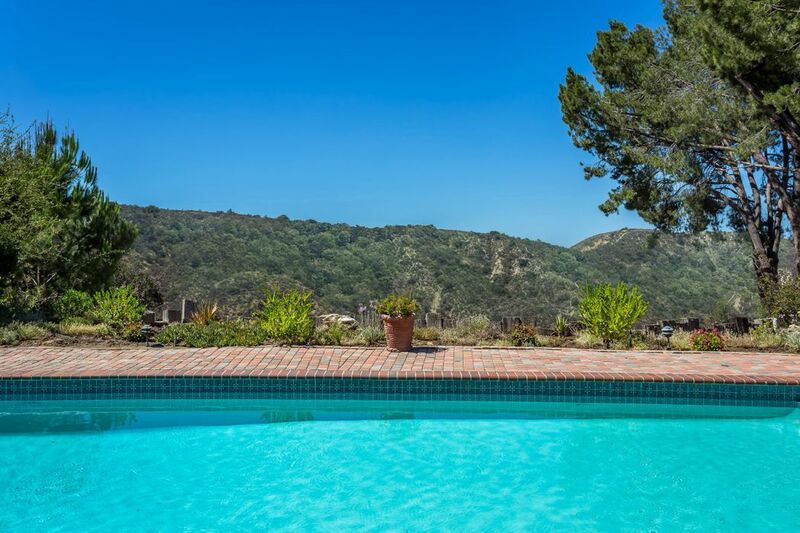 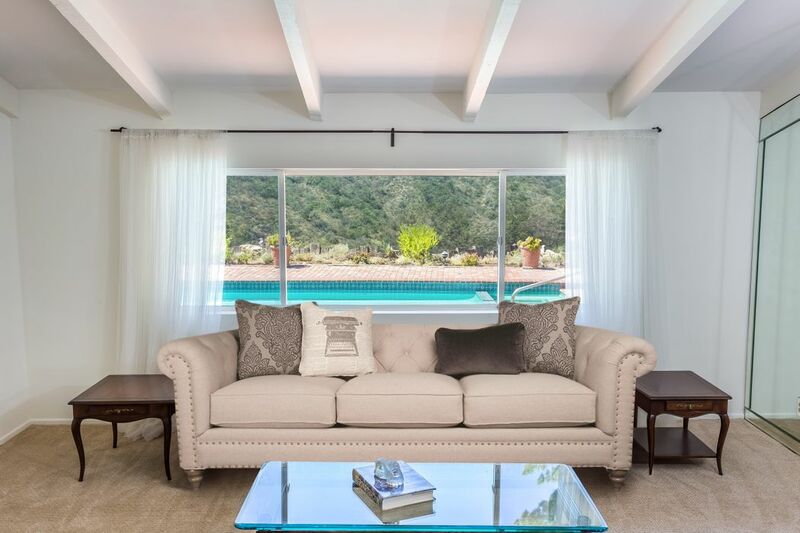 This one-story home with sparkling pool and stunning views of the Santa Monica Mountains and valley below awaits. 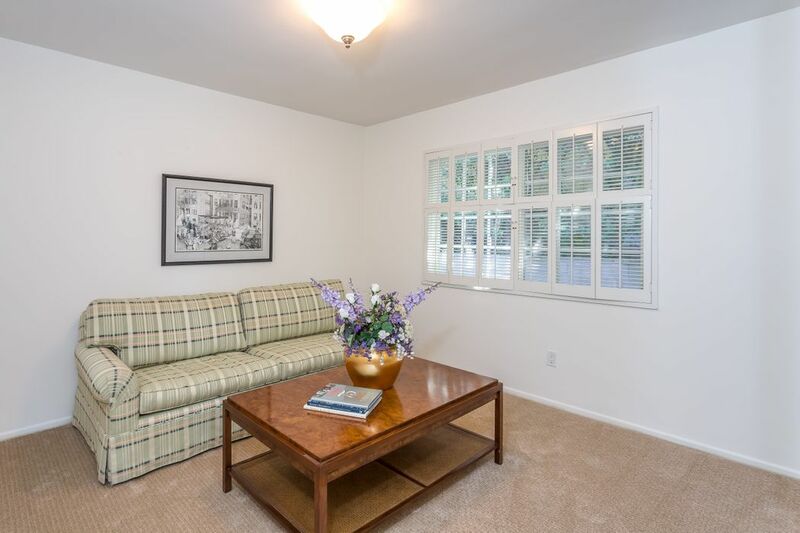 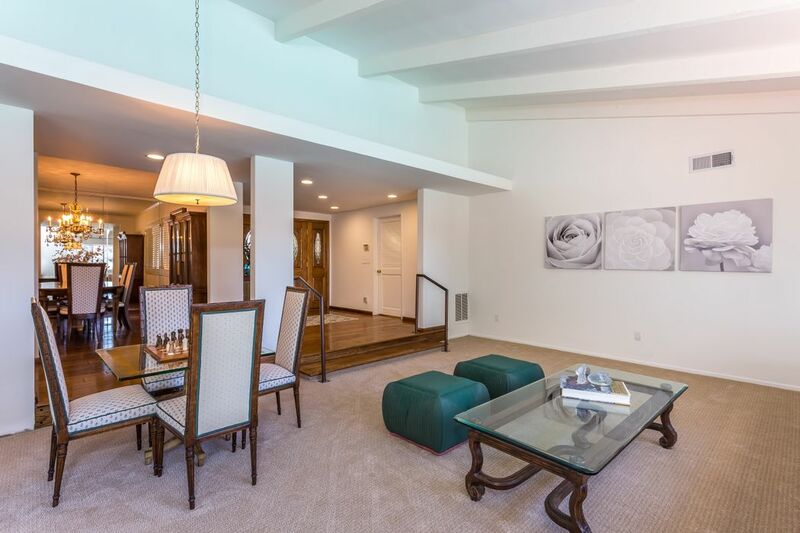 This quiet peaceful property boasts hardwood floors, new carpet and recessed lighting. 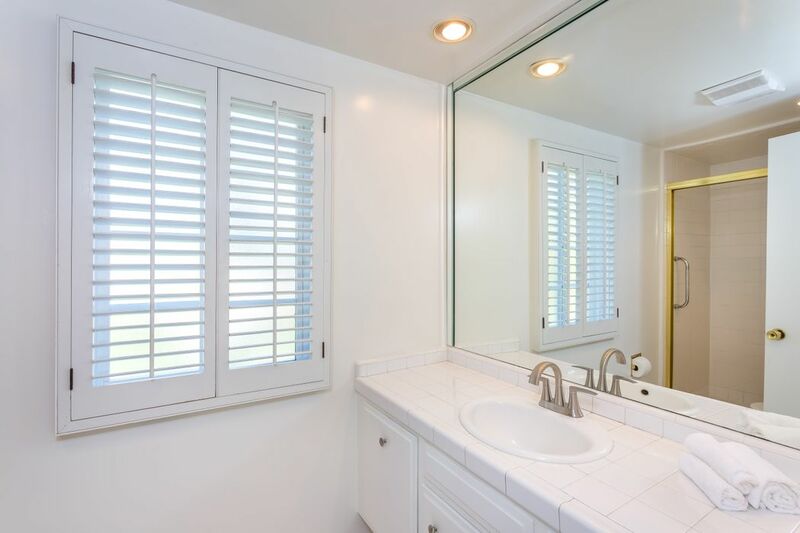 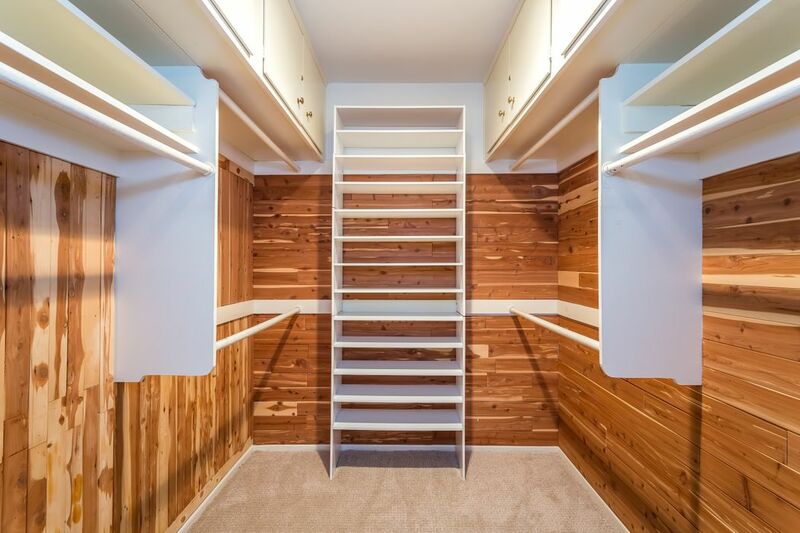 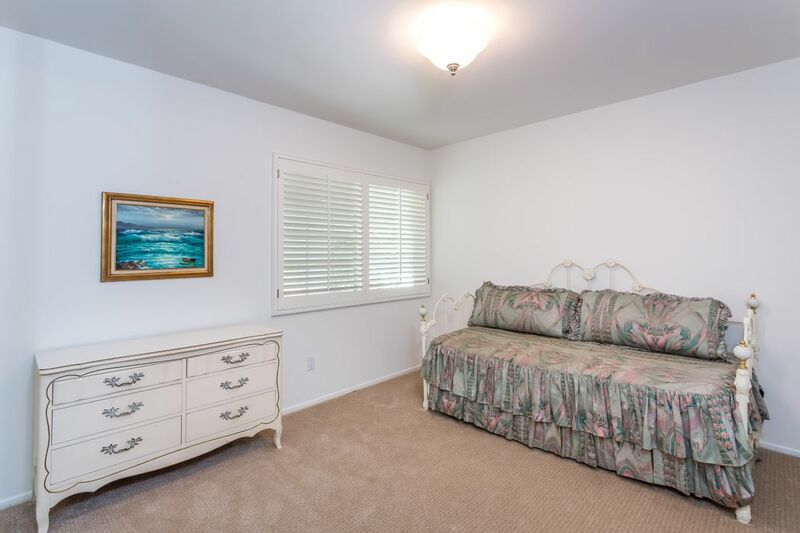 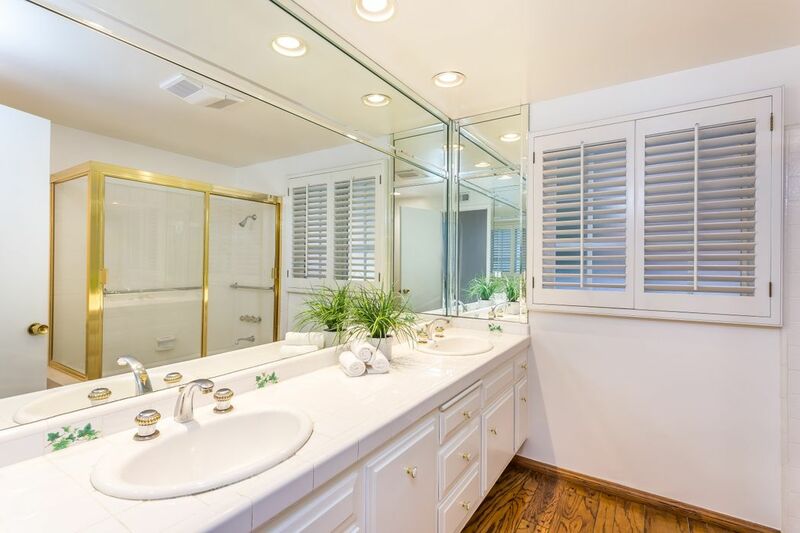 The master bedroom has a spacious cedar-lined walk-in closet and en-suite bathroom with dual sinks and large bath. 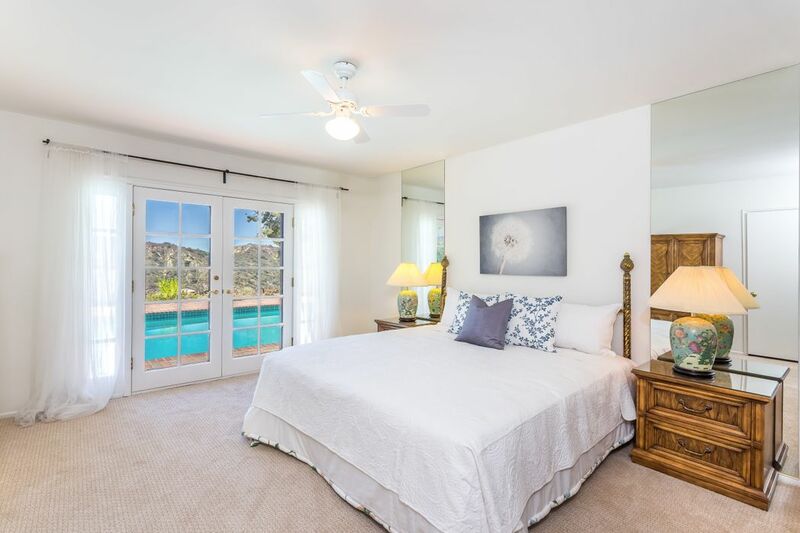 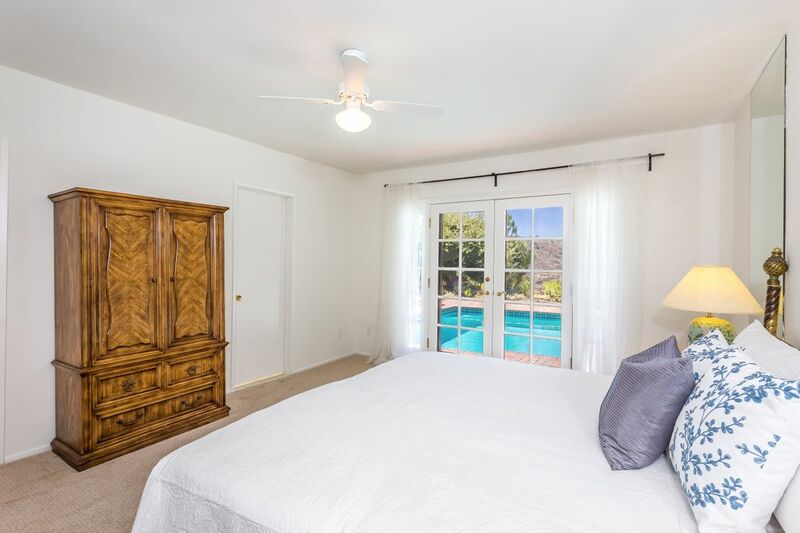 You can take in the view of the pool and the mountains from the comfort of your bed through beautiful french doors. 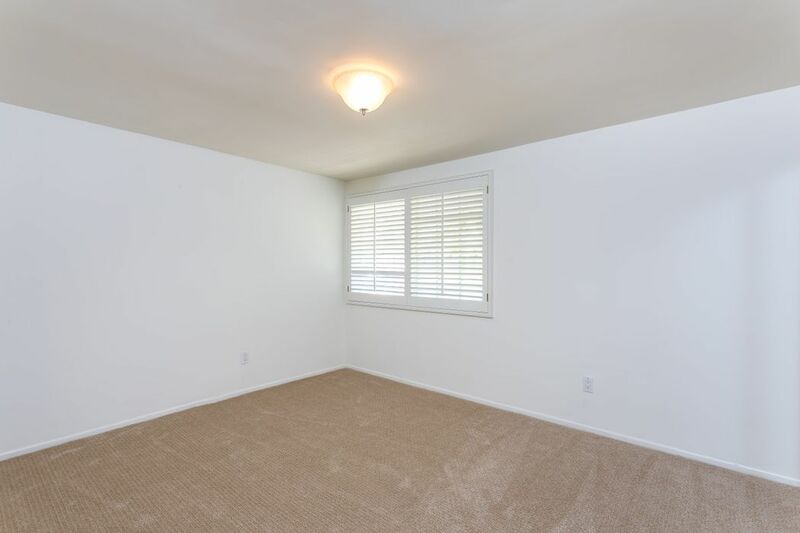 Complementing the master, three additional bedrooms are amply sized. 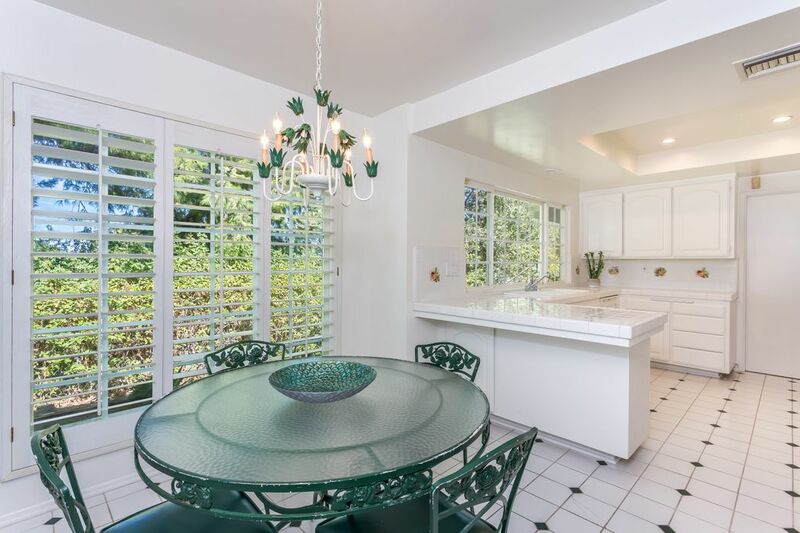 Light abounds in the kitchen with views of greenery and the city beyond. 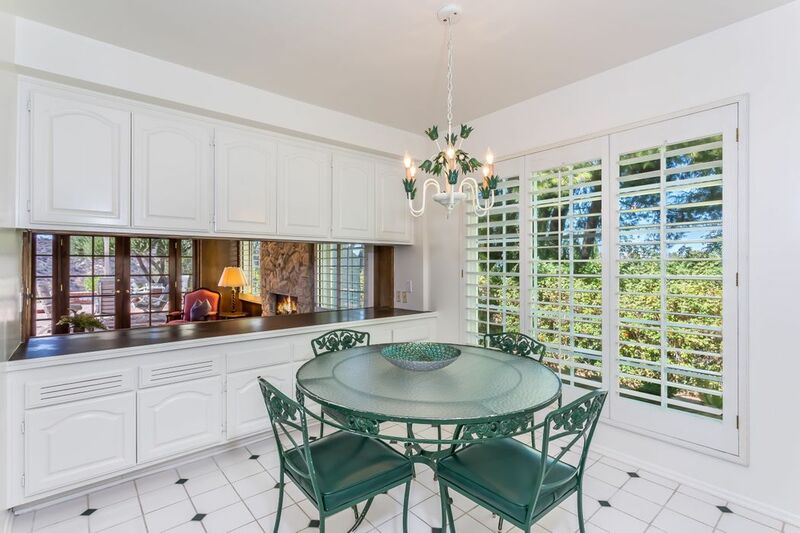 A breakfast area adjoining the kitchen is perfect for eating-in or you could sit in the more formal dining room. 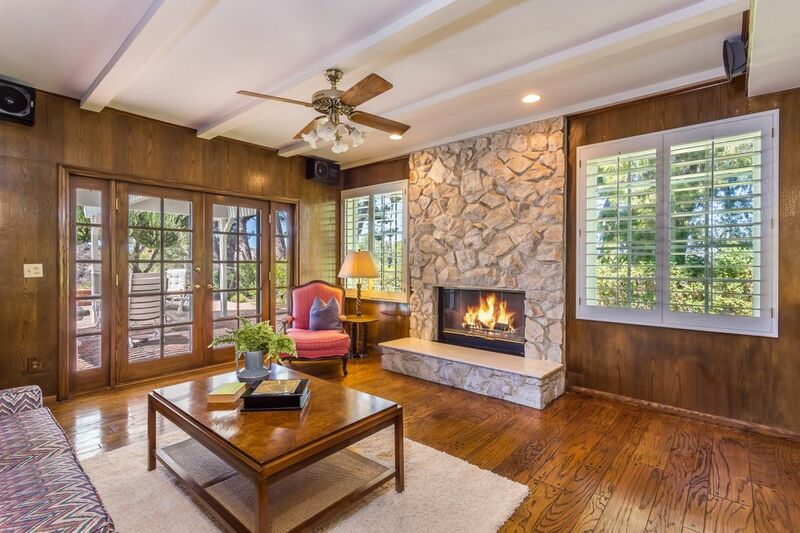 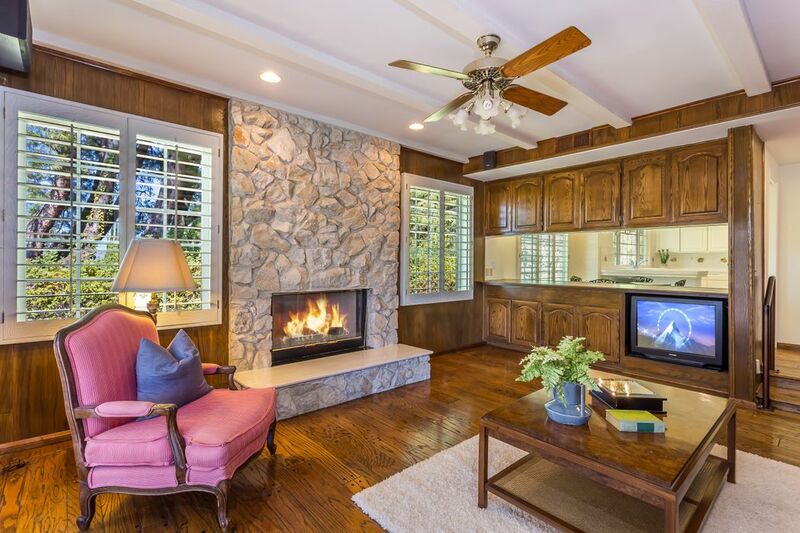 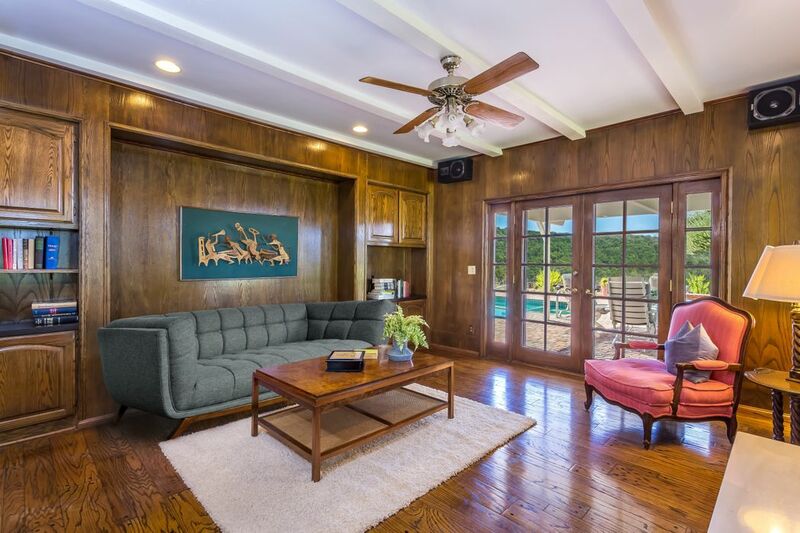 The den features a cozy fireplace with French doors that lead out to the backyard seating areas, pool and spa. 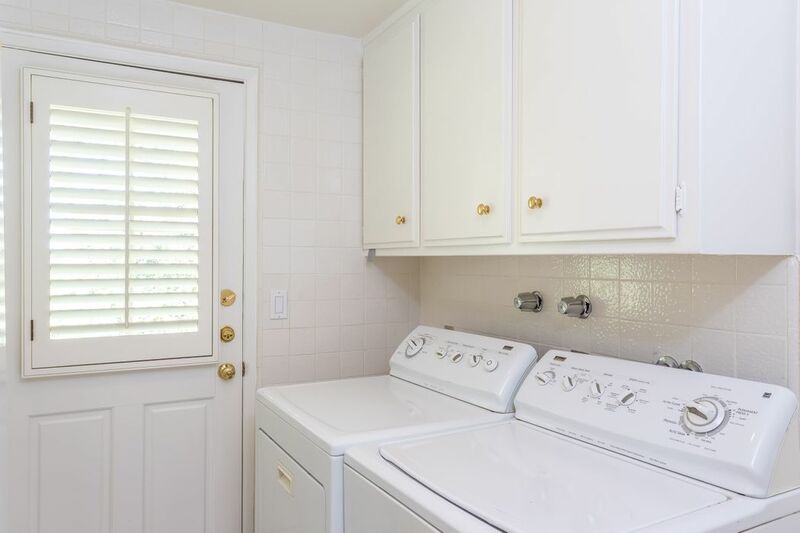 A laundry room and two-car garage finish off this fantastic home. 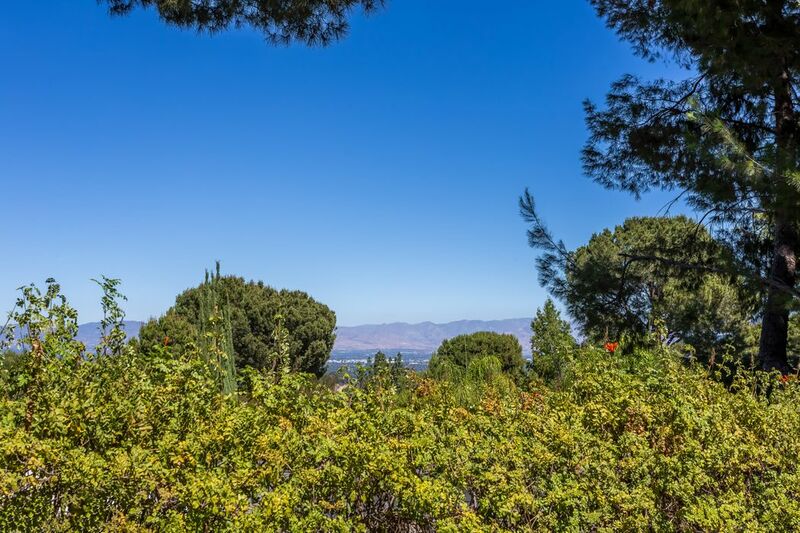 Close to Braemar and El Cabellero Country Clubs.